Admit it or not, we humans are super lazy in some or other ways. And one of the most painful experiences, which we want to avoid every time, is – ‘Waxing’. This word in itself sends jitters across our nerves, but still, we can’t overlook those areas which turned into ‘mini forest’ even after waxing a few days ago. So, to get rid of those annoying waxing, shaving and that unwanted hair, the best option will be undergoing a laser hair removal treatment. A Laser Hair Removal technology is a permanent hair removal procedure which uses laser light technology to destroy the hair follicles from its roots. 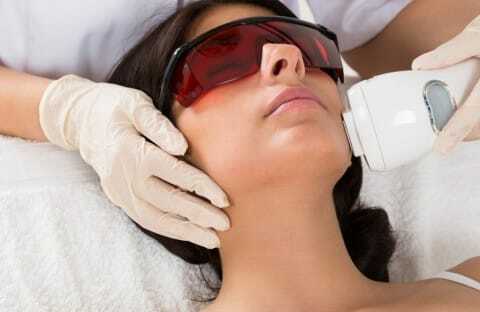 In this method, laser light targets melanin (a pigment responsible for the colour of the hair) along with follicles (the area that promotes hair growth) which are absorbed by them, without affecting rest of the skin. This technology is approved by United States Food and Drug Administration and carried under only certified beauty therapists and expert dermatologists. Don’t expose to sunlight or tanning of the skin before and after the treatment. This may likely to aggravate the complications further. Don’t use any shaving or waxing creams, solutions during your treatment. It may directly cause a reaction to your skin. Perfumes, deodorants, shower using hot water- is a strict ‘No No’. Before initiating the further procedure, your doctor will do a patch test on your skin. This is done to see that how your skin reacts to cosmetic laser treatments. After the treatment, the area that will be treated can show a scar, discoloration and other skin related complications. So, this test is done to know that how much your skin is prone to the risks mentioned above. During the treatment, your doctor will give special glasses to cover your eyes that will protect your eyes from harmful rays of laser light technology. It is advisable to follow this guideline strictly. Another important aspect of laser hair removal treatment is that you won’t see remarkable results, instantly after the first session. At least five to six sessions are required to complete the entire treatment. You have to keep your patience and be consistent with your treatment to get desired results within next three months. So are you ready to embrace a soft, beautiful and flawless skin?